Between first pitches at baseball games and visits to the White House after championships, there has long been a connection between our nation’s leaders and sports. This year, to celebrate President’s Day, we’re focusing on the skills it takes to be a successful leader both in office and in athletics. According to Coach Up, the leadership skills learned through sports don’t just correlate to political success – 95% of Forture 500 CEO’s were also athletes. TGA helps students build a strong foundation of skills that are required to be successful, well-rounded leaders. Check out a few of the key areas we focus on in TGA programs and some of the ways we have seen students apply these lessons. Without teamwork, there is no team. As one of the basic skills sports can teach, teamwork helps to motivate every member to do his or her part to achieve the ultimate goal. Great leaders need team building skills and make sure everyone feels like they have an important role. Even in individual sports such as golf and tennis, caddies and coaches must utilize teamwork to achieve success. In TGA class, students learn to work together in various team game and exercises. Some students, like Paul from TGA of Orlando, Florida, show their leadership potential by going above and beyond to assist their coaches in class with leading warm ups, demonstrating new skills, and encouraging fellow students to work together and set up and break down the equipment for class. Strong communication skills are vital for leaders to motivate, recognize and appreciate the work of their team members. One of the ways TGA coaches help students develop these skills is by taking time out to recognize each participant’s accomplishments in front of his or her peers. We love when we see this start to rub off on our students, like Evet from TGA of Douglas County, Colorado. 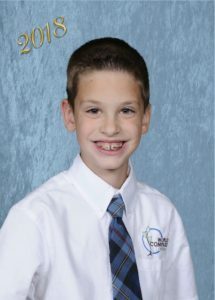 Evet started calling out the achievements of his fellow students and now has earned the trust of his coaches and peers to assist with awarding weekly prizes to classmates. Great leaders are always looking for new ways to grow and develop new skills, which takes a lot of hard work and self-discipline. Sports can be an amazing vehicle for teaching this important lesson to children. The pride felt when they finally nail a skill they have been practicing is an emotion that can continue to motivate them in other aspects of their life. TGA’s motto is Keep Playing!® and our coaches continually encourage our students to work hard to overcome challenges. 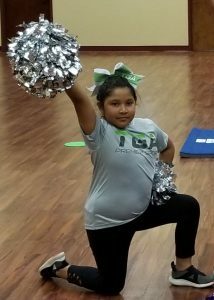 Mia, from TGA of Gwinnett County, Georgia set a great example for her peers by practicing extra hard at home to nail all the moves in her cheerleading routine while encouraging others throughout the session. 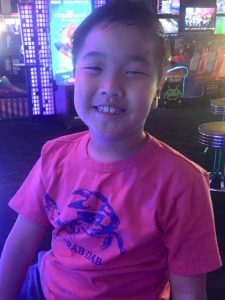 The best leaders aren’t necessarily the most physically skilled athletes, which is why the life lessons we teach our students in TGA programs can be so impactful. The leadership skills our students are already demonstrating make us very excited to watch as they continue to blossom into leaders of the future.